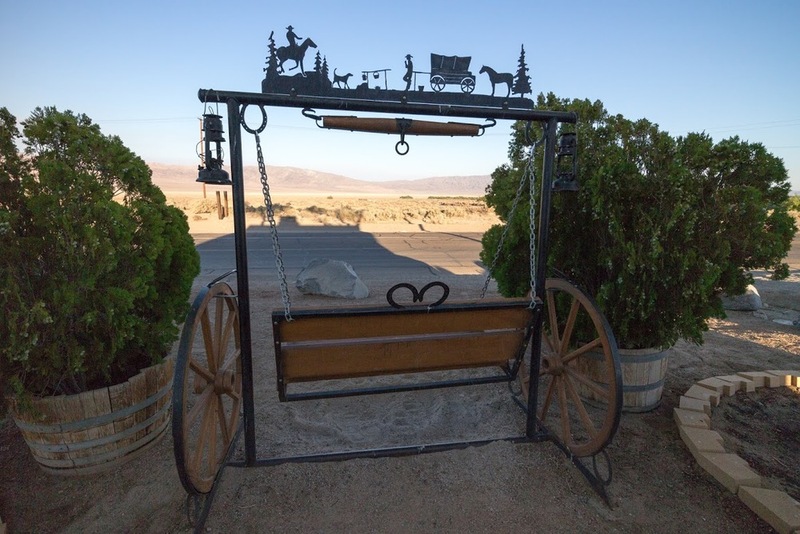 If you're looking for a scenic gateway to Panamint Valley, Death Valley, or Las Vegas, may we suggest traveling through Searles Valley. Instead of traversing the busy Highway 395 to Olancha or crowded I-15 through Barstow, slow down a little and travel through our unique valley. You can stop by the Trona Pinnacles or just enjoy the spectacular views. Trona is a small town, but it offers two gas stations and two restaurants. We are partial to our restaurant of course, but it's worth mentioning that Esparza's Family Restaurant is open for breakfast and on Sunday. 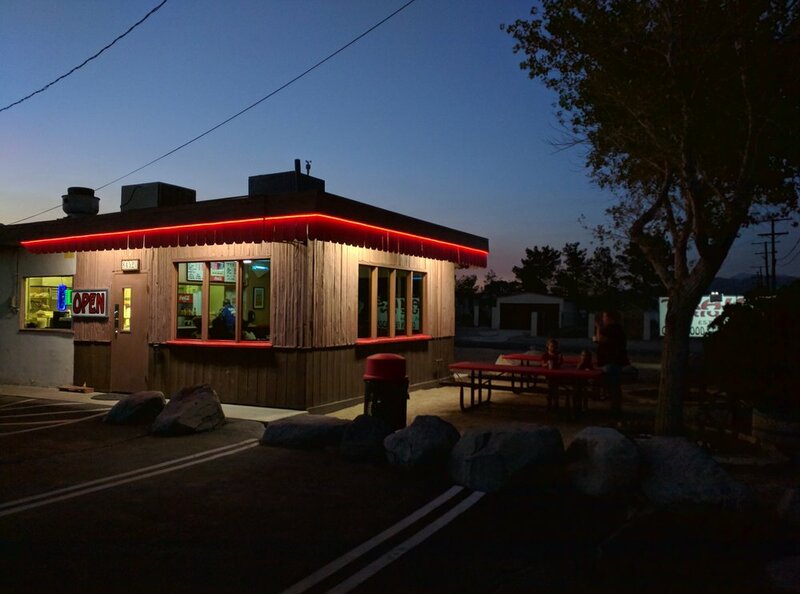 Next time you're out riding the motorcycle, off-roading in Panamint Valley, hiking Telescope Peak, or just going for a drive, stop in for a made to order burger and milkshake! We make it fast, but don't be afraid to stick around and enjoy the view. 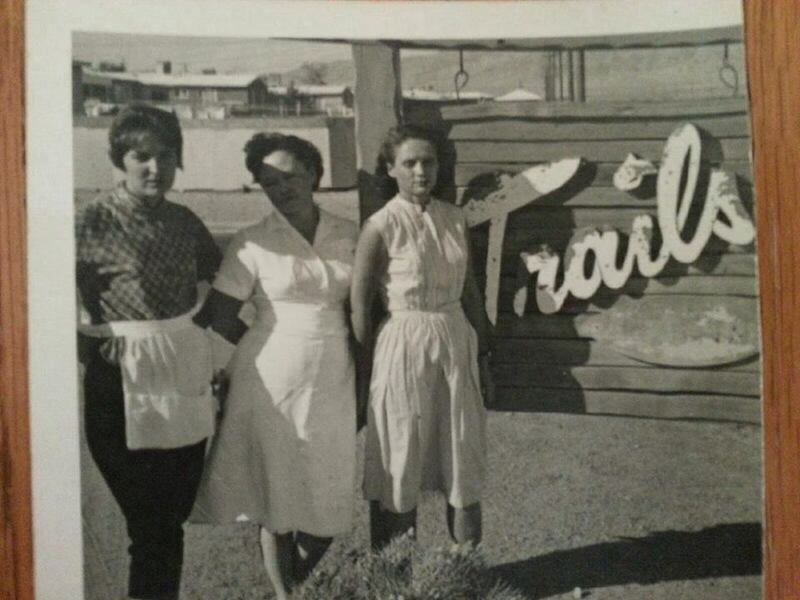 Trails Drive In was established in 1958 and has continuously been a stable business presence in Trona. Ruth and Clarence Baker who built the Trails Drive In were the owners until they sold it in the early 70s to Harlan and Louise Taylor. During that time it was leased to “Thorny” Thorton and the Rains family. In 1976 the Taylors took the business back and ran it until Mike Gilbert purchased it on May 16, 1977. Mike and his wife Karen Gilbert owned and meticulously maintained this local landmark for 38 years until Danielle and Royal Bodine purchased it in April 2015. The building has changed very little over the years, and the food tastes the same as it always has. While improvements are being continuously made, the menu still offers the same appetizing burgers, fries, flavored sodas, and soft serve options it did 40 years ago! This makes it a must have for friends visiting their home town, tourists on their way to Death Valley, and locals who have lived here their entire life. If you would like to contact us for any reason, please select the feedback button. Good or bad, we would like to know about your experience!